Posted on January 26, 2016 by Elaine Mason in News and Views. This year we have decide to support the Charity – ACTION FOR KIDS, an amazing charity helping some amazing young individuals live their lives to full. This year, after being “eyebrowed” by my daughter, we have a team that, on the 16th May, is going to join the Action For Kids Abseil coming down the The ArcelorMittal Orbit: a giant sculpture that swirls and swoops and delivers you views of the London skyline up to 20 miles in to the distance. Action For Kids supports young people who have a disability, whether a physical condition of a learning difficulty, live the life they want to. The charity provides mobility equipment; funds for repairs to equipment; learning support to develop work place and independent living skills to ensure young people can reach their dreams. Paul & I have been blessed with fit and healthy children who have grown into fun loving, adventurous adults so it is an honour to help Action For Kids to support those who need greater assistance to live and love life. Posted on April 29, 2015 by Elaine Mason in News and Views. We said good bye to Sarah and Sally but welcomed Sarah (No 2) and Ben. 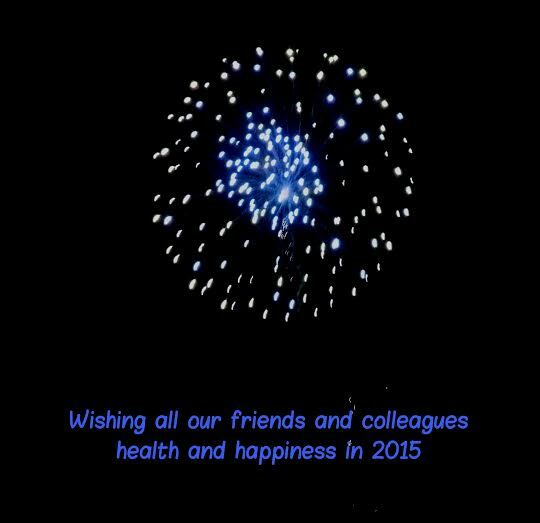 The two Janes both survived the year and we are all excited about what 2015 will bring us. Posted on January 2, 2015 by Elaine Mason in News and Views. The Belvedere Mead Stars are our terrific team who have risen to the challenge of running (or walking if needs be) to the top of Tower 42. For those of you who do not know what Tower 42 is then you may be impressed to know that for over 30 years it was the City of London’s tallest building, known to many as the Nat West Tower as it was built for one of our leading banks at that time and was actually designed in the shape of the bank’s logo. Our valiant team will race up its 42 floors ascending the 902 steps on the 4th of March. So glad that the chaps were keen to ensure Sarah didn’t need to run up all those stairs on her own. 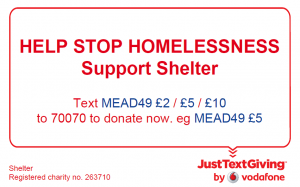 Please give generously to support the work that Shelter do to help those who are homeless or have housing problems – There are so many unexpected circumstances, such as redundancy or illness, that can lead to the loss of one’s home. 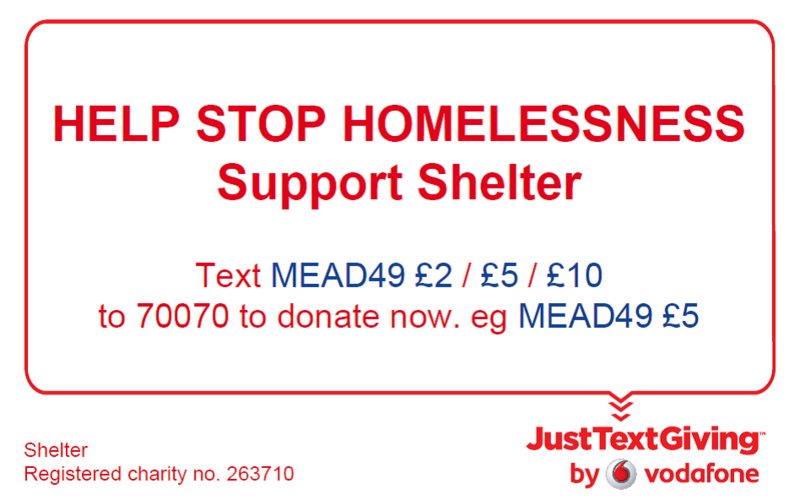 If you would like to donate by cash or cheque then please contact us for information on how to do this. This is Belvedere Mead’s first venture into raising money for a charitable cause so your donation and the efforts of our terrific team members taking up the challenge of those steps, all 902 of them, will make this a success to remember. Posted on February 14, 2014 by Elaine Mason in News and Views. We are pleased to introduce you to Gould and Lamb LLC , and the National Institute for Medicare and Medicare Education (NIMME). Our business partner is pleased to be bringing their knowledge and expertise to London to provide a variety of educational sessions surrounding issues faced when dealing with claims involving claimants who are Medicare Beneficiaries. The sessions take place in London during the week of 17th June with their experts also available to answer an questions you may have. Posted on June 14, 2013 by Elaine Mason in News and Views. Posted on December 21, 2012 by Elaine Mason in News and Views. First and foremost, please note that the two ‘Williams’ in this case are unrelated. The 25% contributory negligence contribution will be funded by the second Defendants Insurers. Some certainty and reassurance to Insurers, Reinsurers and lawyers, this case maintaining and underpinning the principles contained in leading case law Froom -v- Butcher (1976), relating to contributory negligence deductions made when considering the failure of a Claimant to wear a seatbelt or appropriate restraint. Pivotal to this case, and the reason for making any deduction at all, is down to whether the injuries sustained could have been lessened or indeed prevented completely should the correct restraint have been used. This particular case examined the mothers duty towards her child to place the three-year-old in an appropriate and available child car seat and whether her decision to place the child on a booster seat instead of the available 5-point harness was negligent. As detailed above, the overriding issue was whether this decision, combined with the tragic sequence of events and subsequent severe injuries sustained would have been lessened or prevented if the 5-point harness had been used. It was found, after considering unanimous expert evidence that the booster seat was inappropriate and that the 5-point harness was appropriate, given the child’s age, height and weight, and that her injuries would have been largely avoided or been of slight severity if the 5-point harness had been used. Whilst the First Defendant (deceased) was solely responsible for the accident , having lost control of his vehicle, swerving and colliding with the car driven by the Second Defendant, the key issue was to consider the cause, or causes of the injuries. A sensitive case to deal with, particularly given the issues of recoverability in relation to gratuitous care by the mother which she had been required to provide to the Claimant given her severe injuries. 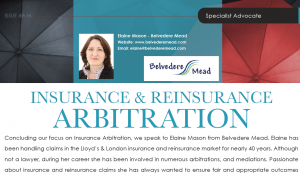 The Defendant Insurer gave an undertaking that a finding would not deprive the Claimant and her mother of compensation payable in respect of past and future care provided by the mother. As a handler, this case highlights the need for early and appropriate intensive investigation into liability and causation issues and the need to obtain eminent robust expert evidence to narrow the issues when preparing for a difficult, emotive and contentious case such as this. Posted on June 14, 2012 by Sarah in News and Views. A year’s gone by already so …..
Posted on April 2, 2012 by Elaine Mason in News and Views. 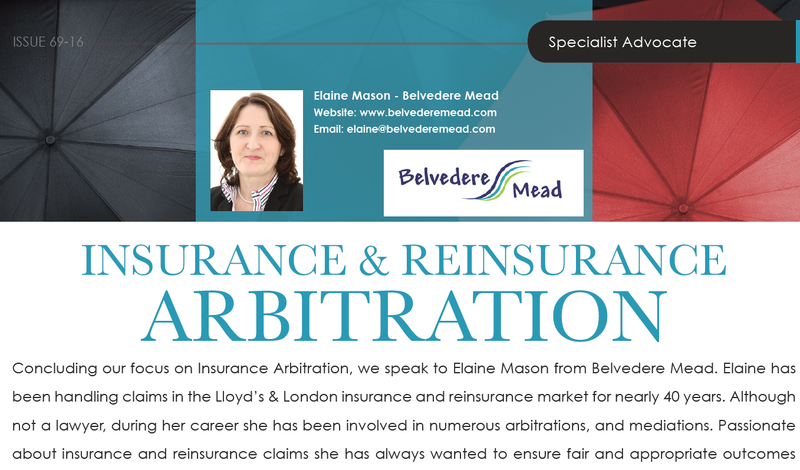 The Chartered Insurance Institute has uploaded Elaine’s Bio into their Discover Risk website. The site is aimed at attracting young people into the profession by showing what a varied career one can have if they choose insurance as their chosen career path. Working in the global insurance and reinsurance markets is not dry and boring – that’s accountancy! (Sorry Accountants – only joking). Posted on January 21, 2012 by Elaine Mason in News and Views.